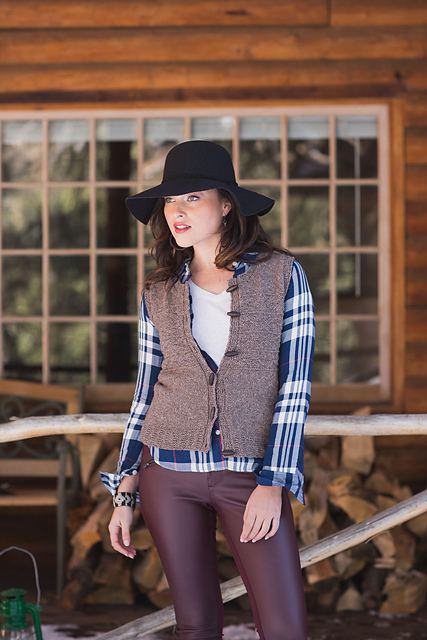 Originally published in Interweave Knits Summer 2016, this classically shaped vest is spiced up with a tweed yarn and a textured arrow pattern. 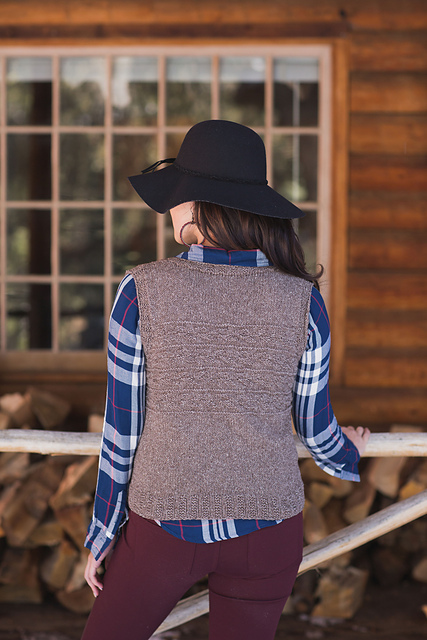 The body of the Rimrock Vest is worked with minimal shaping, creating a simple project that’s ideal to take along on summer vacation. ​Finished Size 33 (36¼, 39½, 44¼, 47½, 50½)” bust circumference. 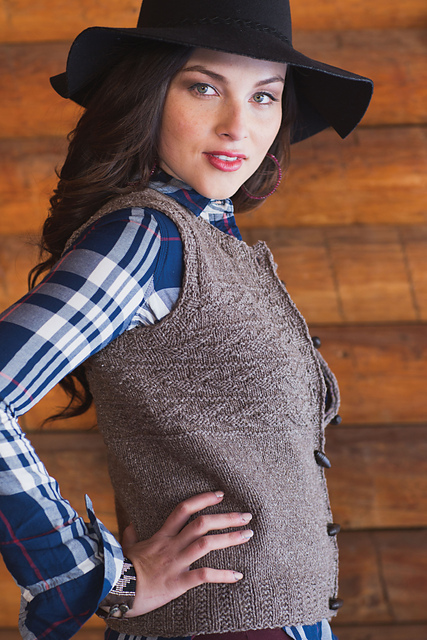 Vest shown measures 33″; modeled with 1″ of negative ease. Yarn Juniper Moon Farm Sabine (40% cotton, 30% royal llama, 30% merino wool; 218 yd 200 m/3½ oz 100 g): #22 oak tree, 3 (3, 4, 4, 5, 5) skeins. Yarn distributed by Knitting Fever. Needles Size 5 (3.75 mm): 16″, 24″ and 32″ circulars. Size 6 (4 mm): 32″ cir. Adjust needle size if necessary to obtain the correct gauge. Notions Markers; stitch holders; tapestry needle; six 11/4″ toggle buttons. ​Gauge 20 sts and 30 rows = 4″ in St st on larger needle.